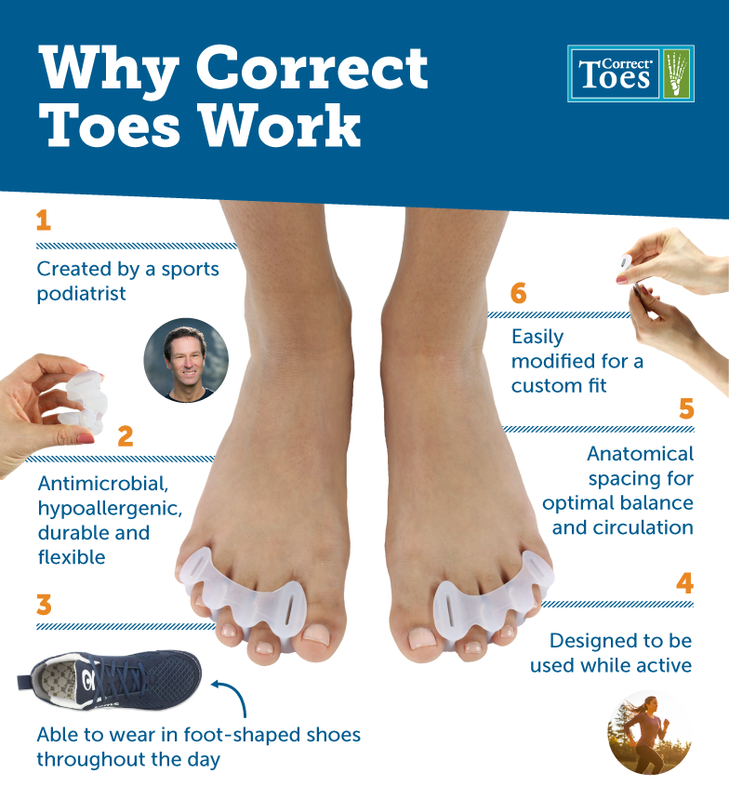 We sell Correct Toes in our clinic, there are several reasons why they might be beneficial for you! 1. 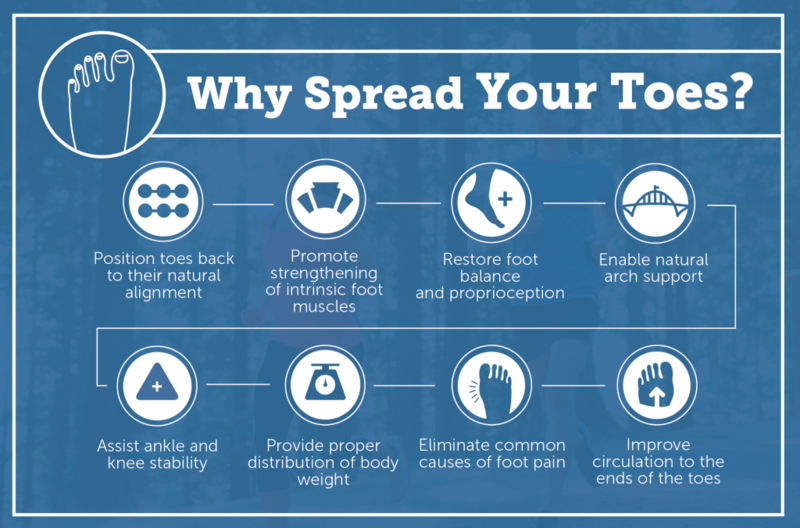 Align toes and improve balance and stability. 2. Strengthen muscles throughout the foot and lower leg. Accompanied by naturally-shaped footwear, Correct Toes encourage the foot to move, flex and bend. As muscles strengthen, the foot is able to support itself. 3. Restore foot function and relieve foot pain.